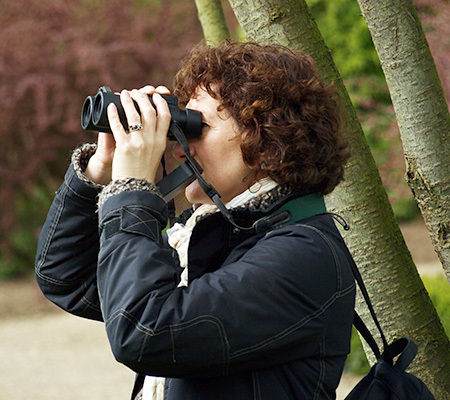 I’m a Leeds birder with a life-long passion for the natural world. Like many people, I pursued other interests before becoming a serious birdwatcher in the mid 80’s. During that time, I began volunteering with conservation groups such as the Leeds Urban Wildlife Group, The Yorkshire Wildlife Trust and the RSPB. While leading the RSPB Leeds Group, I was approached by a local college about providing birdwatching classes and I decided to take the challenge myself. Soon after, I was teaching birdwatching to adults, indoors, on dark winter evenings. After receiving lots of positive feedback, I launched my business in 2001. Since then, I’m proud to have fledged many new birdwatchers in and around Leeds. One of my early groups still meets today. I now teach indoor and outdoor birdwatching classes throughout the year. I also organise residential tours to Dumfries and Galloway, Northumberland, Norfolk and Suffolk. My birdwatching classes were featured in an article by Roger Ratcliffe in the Yorkshire Post in 2010.